Have you ever felt like you are part of a family while purchasing online? Imagine if after purchasing your favorite product, you would receive a custom text message right away including personal thanks and the information that your purchase has been successful, you know what would happen? All thanks to a simple text message. Companies that send text messages to their customers following their purchases or to inform them about any possible issue are often recognized as trustworthy ones. Think about it: your bank sends you a text message notifications when you perform a bank transaction, big clothing stores send their customers text messages as well, what about you? 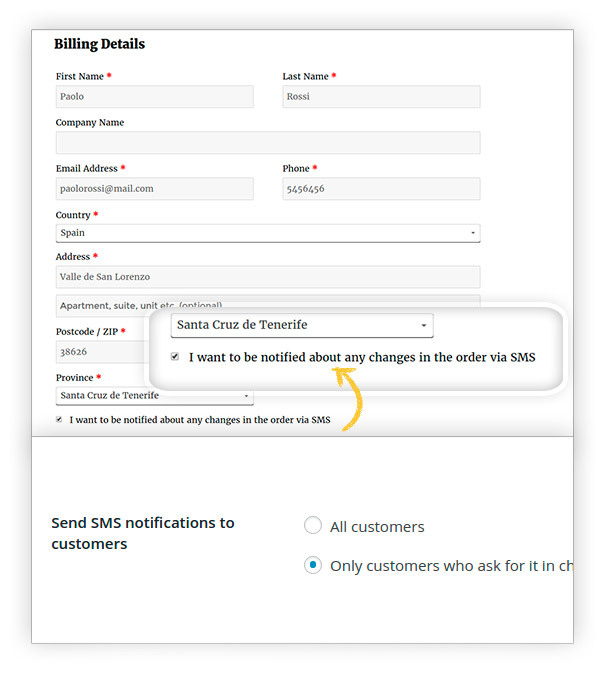 Thanks to our YITH WooCommerce SMS Notification, you can start sending custom text messages to your customers right away, informing them of any change in the status of the order they placed. 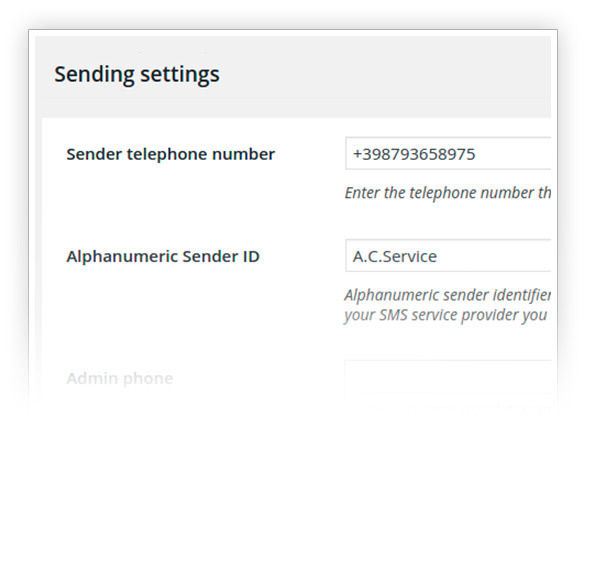 In order to deliver these text messages, several different gateways are used, such as Twilio and Clockworks and if you wish, you will be able to receive them as well. 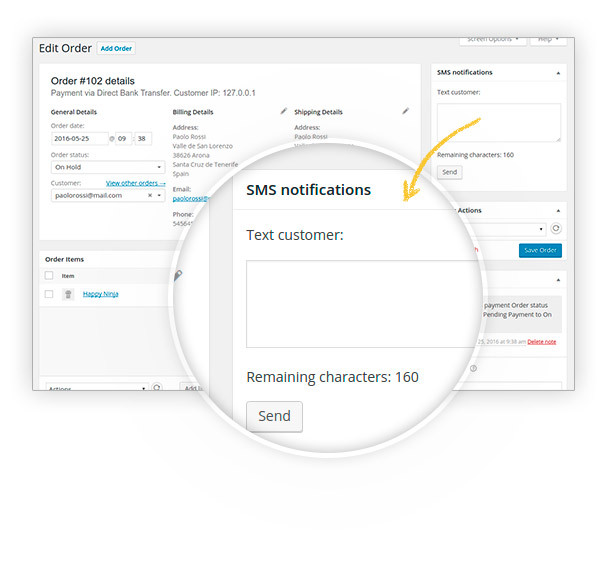 In case you need to be notified via SMS for each processed purchase and any order gone wrong in your store, you will be able to do this in a few clicks and you will have your whole sales under control. 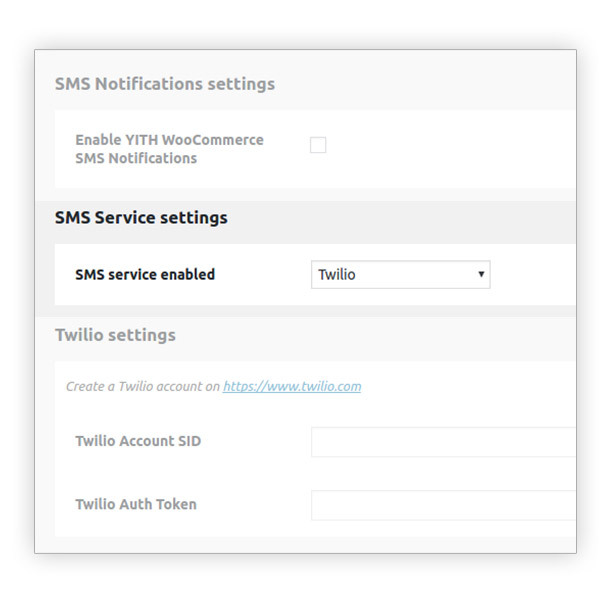 Not workingNot able to send sms and did every step from document about Twilio, I don't understand what is happening but does not work. Thank you for your review Lauren. We noticed that you already submitted a ticket, perfect! After checking the ticket we saw that there was an issue with your sender Id. The issue has been resolved and we hope that in this way we were able to change your 2 star opinion about the plugin. 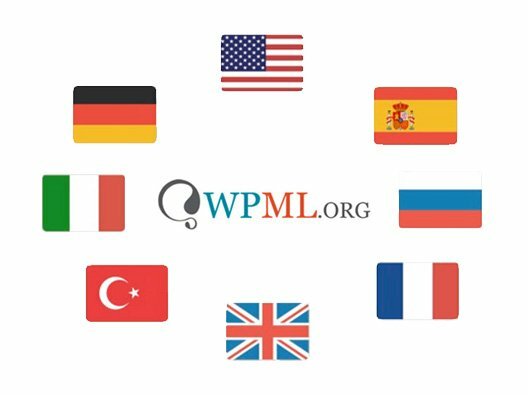 Very satisfiedI love to be well informed myself and so this plugin helps me do the same for my customers, really complete well-developed solution! 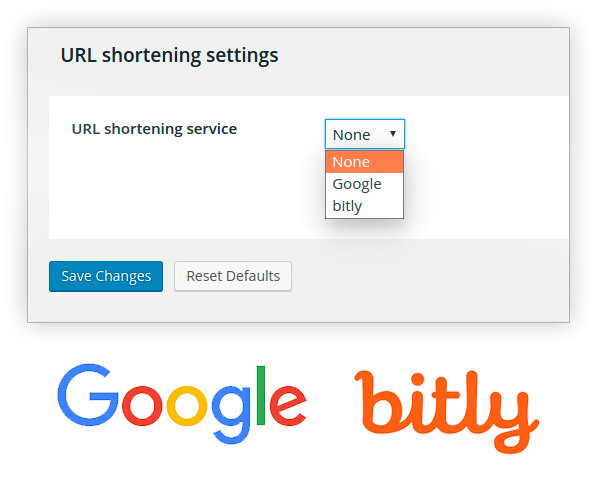 good pluginI'm pretty satisfied with this plugin, works well and it's a good tool. Hi, James! 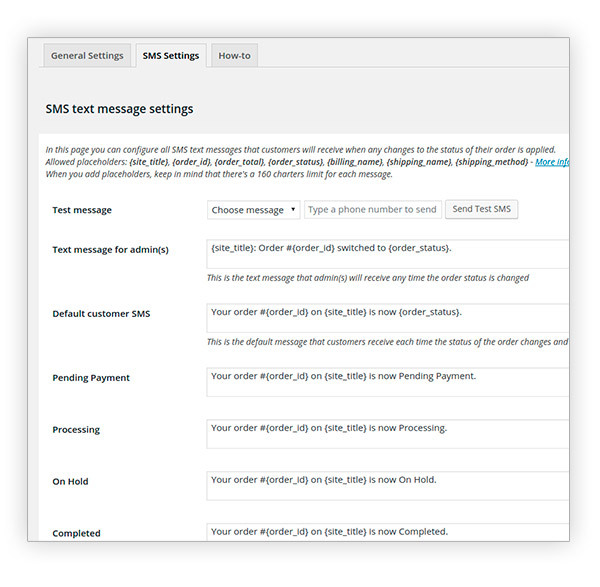 The plugin allows sending customers SMS notifications ONLY for their order status changes. No, the default message will only be sent, if for a certain selected status, the plugin does not find any messages set. 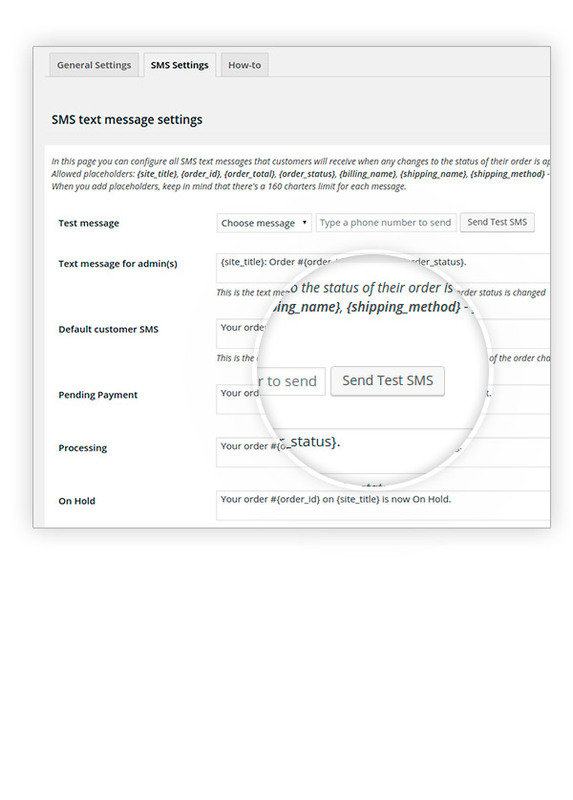 In other words, in order to avoid sending the customer an empty message, the default message will be sent if no message is set yet. 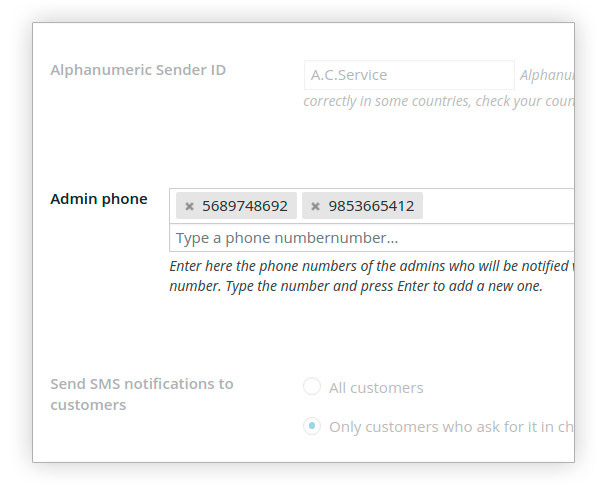 The plugin does not use free SMS API, but if you know one, you can suggest it for integration and we will be thankful.  An sms api is necessary for sending sms. We have never tested them together but we suppose that they should work, however we cannot guarantee compatibility with third party products. 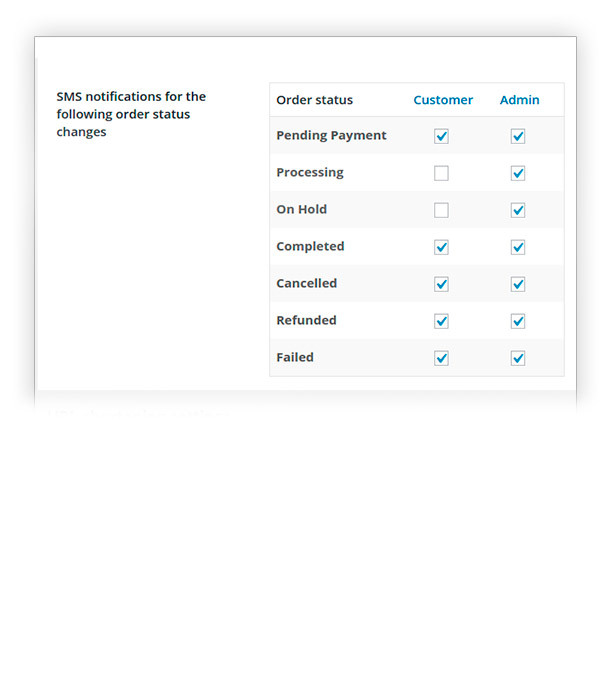 On the other hand we offer our own YITH WooCommerce Custom Order Status plugin, which is perfectly integrated with the YITH SMS Notification plugin. at the moment, this is not possible. 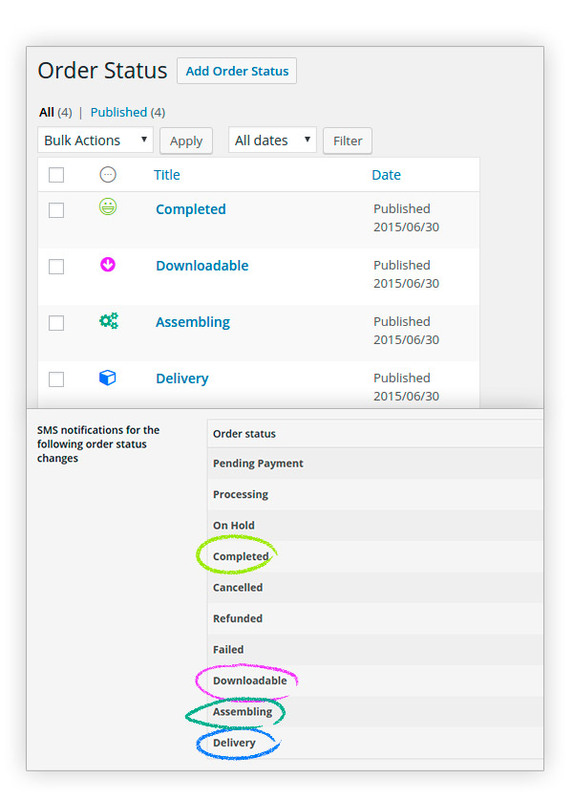 Our developers will evaluate this request and possibly they will consider implementing it in a future plugin update.